Last night, we held a tutored tasting with Champagne Castelnau, under the excellent guidance of Keith Isaac MW. 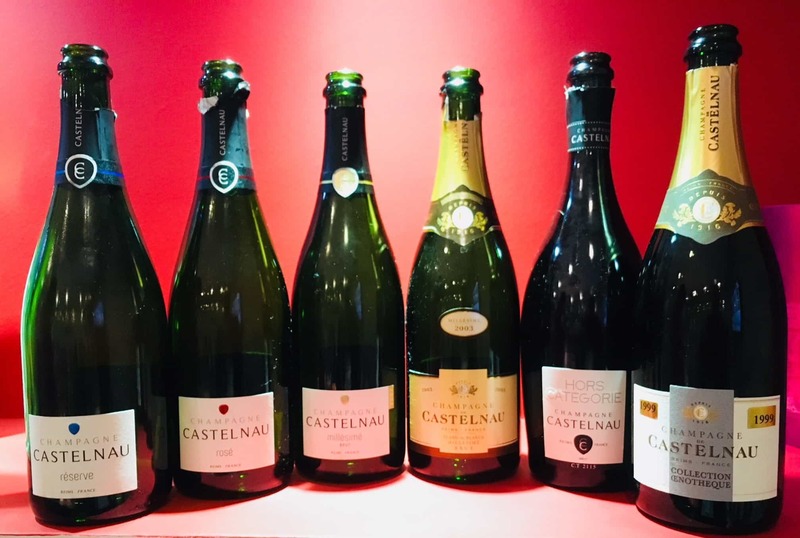 12 members and guests enjoyed the 6 Castelnau wines on show, including the Brut Reserve NV, Rose Brut NV, 2003 Vintage, 2003 Blanc de Blanc, Hors Categorie and then finishing with a special treat: the 1999 Vintage Blanc de Blanc. Waud Wines have committed to moving to Champagne Castelnau as our club champagne supplier, and we look forward to our first parcel arriving in November. If you are interested in a pre-allocation of these wines, please see below for prices and tasting notes. Special vintage magnums are also available on request. Contact charles@waudwineclub.com if you would like to reserve an allocation.